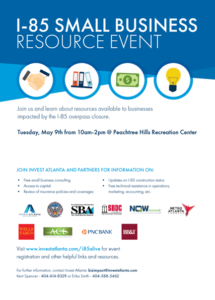 Join Invest Atlanta and partners to learn about the resources available to businesses impacted by the I-85 closure. This is an opportunity to meet with local service providers offering technical assistance, financing, consulting services, and more. 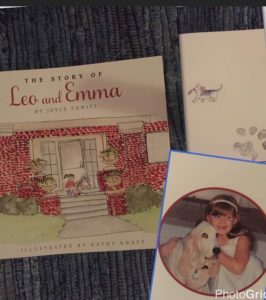 Join Joyce DeWitt and Kathy Knapp on Sunday May 7 from 3:30 to 5:30 p.m. as they read from and sign their new children’s book, The Story of Leo and Emma. The story tells of a 7-year old girl and her next-door neighbor, an eleven-year-old basset hound. Their friendship blooms as they learn about accepting those who are different from you. This delightful story was inspired by a real neighborhood girl and her next-door neighbor. Stop by Paper Source on Sunday, and in addition to a signed copy of the book, you can get the “paw-tograph” of Leo! Click on a tag below to find all relevant content for that subject from news stories and online "Voice" articles, safety newsletter articles (2009- ), and Voice print editions (1976-2012). It will not find relevant content from the regular website pages or from most meeting minutes — use the Search box above instead.